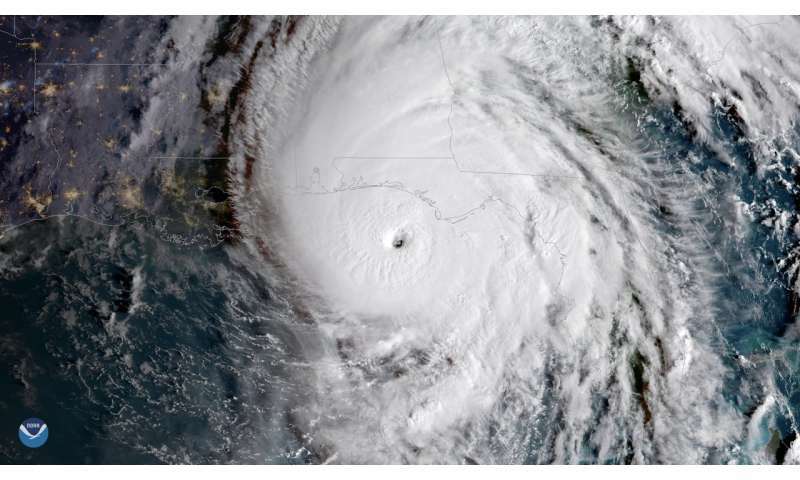 Michael was a category 4 storm packing 155mph winds when it made landfall near Mexico Beach, FL on Wednesday. On land, the storm destroyed countless structures. It was just as merciless on the waters of the Gulf of Mexico as it made its way north. "The whole ocean was being thrown into a blender and spit back out," said Tom Frankovich, a research associate professor in Florida International University's Institute of Water and Environment. "At the same time, this rough water disrupts the [Red Tide] cells and it aerosolizes the toxins further." Winds from the storm could push those aerosolized particles farther inland and affect people beyond the coast, he added. They could also concentrate the blooms to the east as the wind and water blew in and a decrease on the west side of the storm as water blew out. In the long-term, rain from the hurricane could lower the salinity of the water, making the environment less conducive for the growth of Florida Red Tide. Frankovich cautions that those rains could lead to more nutrients flowing from the land into the water, providing fuel for the surviving organisms to grow. Could history serve as a guide? Frankovich said 2005 offers a good comparison for us to consider – one of Florida's largest Red Tide blooms occurred after the active 2004 hurricane season. "We just don't know what will happen," he said.